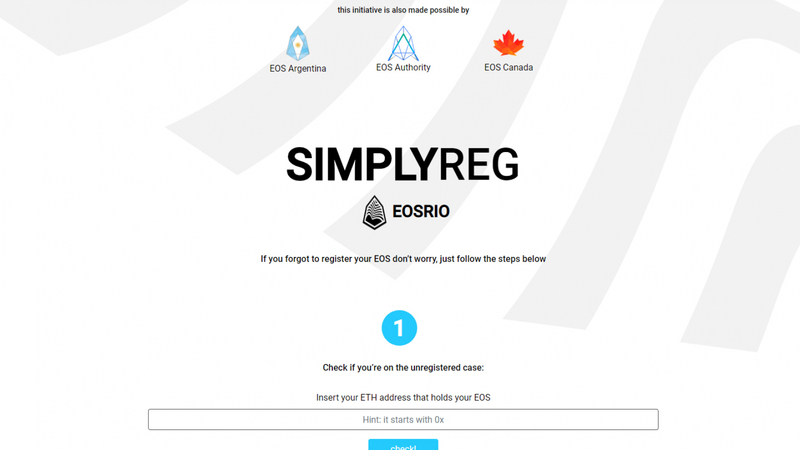 SimplyReg – saving the unregistered EOS accounts! Since the EOS mainnet launch, many people who had an Ethereum address didn’t register their ERC-20 EOS tokens. In total, there are 19,587 wallets that have not registered their EOS correctly & were not in the fallback, summing up to 3,301,220.3641 EOS. They are unregistered with their tokens frozen, waiting for a solution.